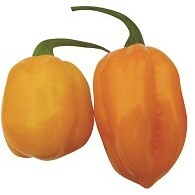 Habanero type pepper with good fruit setting of around 250 fruits per plant. Its color turns from green to red. Good heat tolearance. 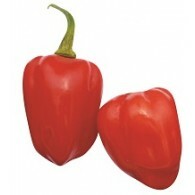 Pungency of 200,000 ~ 350,000 scoville rate. 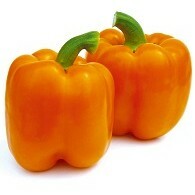 Habanero type pepper with good fruit setting of around 250 fruits per plant. Its color turns from green to orange. Good heat tolearance. 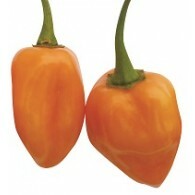 Pungency of 200,000 ~ 350,000 scoville rate. Blocky typed shape and fruit color change from green to yellow. 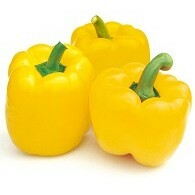 The fruit size is 9x9cm and the weight is 180~220g regularly. The skin is thick and hard so it brings good marketable quality with good shipping ability and storability. Strong resistance to diseases. Easy to grow. 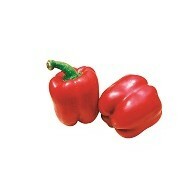 Suitable both for open field and greenhouse cultivation. Blocky typed with strong vigor and high yield. Fruit color will be changed from dark green to beautiful orange. Medium maturity and the weight is around 180~240g. Internode is short good for greenhouse or open field cultivation. Good cracking tolerance. Good marketability. Good disease resistances. Easy to cultivate. 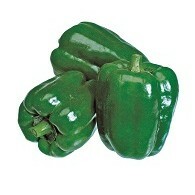 Super Green is a smooth, 3~4 lobed blocky fruit with dark glossy green color. High yield and vigorous plant. Rather open plant habit. Good adaptability under low temperature. Heat tolerance and TMV resistance.